Directly book a room at our hotel and receive a 5% discount! Discover the Hoge Veluwe National Park, enjoy the lively city of Ede or visit the capital of the Gelderland province, Arnhem. Whether you are here for business or pleasure, at Hotel De Paasberg you will immediately feel at home. You will find both modern comforts and traditional hospitality and personal attention in our 27 rooms and the atmospheric lounge. You are very welcome! 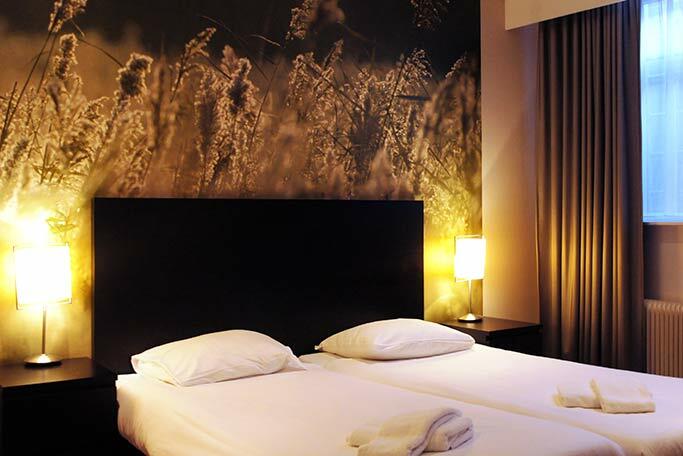 Hotel De Paasberg features 27 warm and atmospheric rooms. 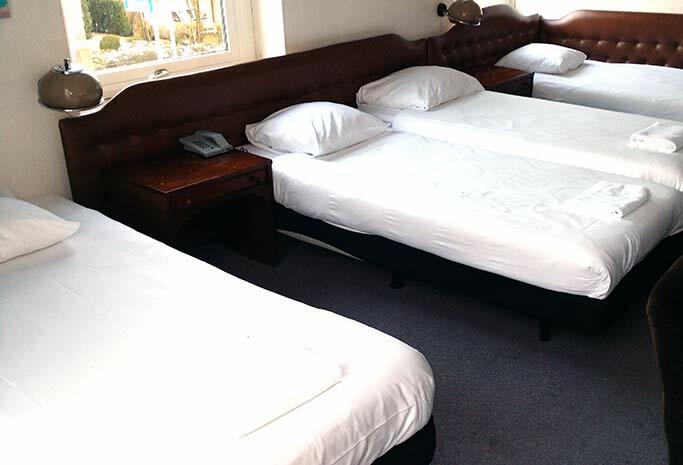 De 16 'comfort' and 11 'basic' rooms are fully equipped. Each room has a lovely spacious bed, a private bathroom with shower or bath, TV and free WiFi. Outside of your room, you can also relax in our modern lounge and on the sunny terrace or enjoy a nice drink at the spacious bar. Naturally, we are always ready to serve you day and night to make your stay as pleasant as possible. 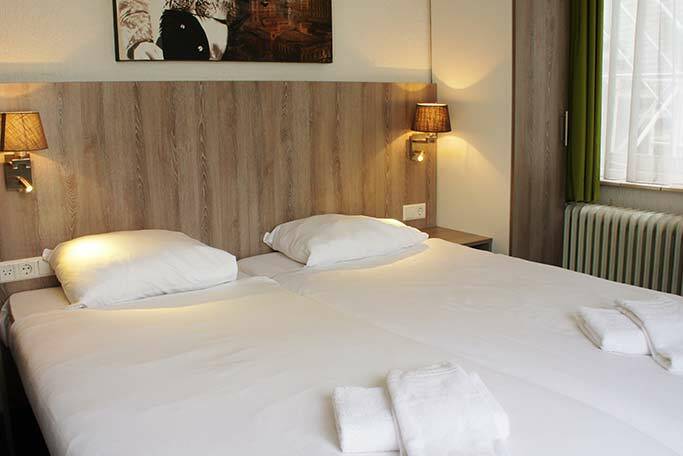 You will have everything you need in our 'basic' rooms. They include a lovely spacious bed, private bathroom (with shower or bath), TV, free WiFi and a modest seat. These rooms are situated in our souterrain. 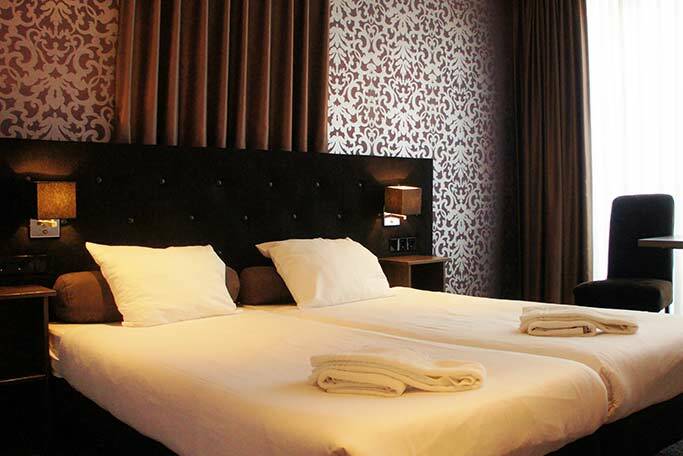 You will have everything you need in our 'standard' rooms. They include a lovely spacious bed, private bathroom (with shower or bath), TV, free WiFi and a modest seat. The standard rooms offer simplicity in style for a quiet and pleasant stay. The 'comfort' double room with modern furnishing will make you feel right at home. Lovely luxury beds, a nice spacious bathroom (with shower or bath), a comfortable seat and fresh coffee and tea. In other words, everything to make your stay as pleasant as possible. The 'basic' family rooms feel warm and familiar. Lovely spacious beds, a private bathroom (with shower or bath), TV, free WiFi and a modest seat. The basic rooms offer simplicity in style to start and end your day in complete comfort. Reception always friendly and recognise us. Upgraded to comfort room with balcony. Really close to centre of Ede. Good wifi, lovely new big shower room / toilet. Best value for staying in this town. Breakfast is buffet and has almost everything. Rooms really clean. Perfect size of Bedroom and Bathroom. Near city centre so everything is really close. One of the best hotels I have stayed in nice friendly service, clean, handy for the town, with good value for money and good food. I stayed in this hotel many times through my business trips to Holland. 10 out of 10.